Acupuncture heals by balancing energy within the body. Acupuncture is based on the belief that the balance of the energy flow (Chi) through the meridians of the body is the essence of all living organisms for harmony and optimal health. Acupuncture has been used for thousand years. Acupuncture started in Asia, but it is now practiced all over the countries like USA, Canada, England, France, Germany, Spain, Israel, South Africa, Australia, Mexico, Brazil, Argentina and so on. In TCM theory the body’s energy travels in channels called meridians. Each meridian follows a very specific pathway that includes specific organs, tissues, muscles, and bones. Acupuncture is done by inserting very fine, sterilized needle into special points in the meridians which is spread out all over the body like a spider web. If a certain point of the meridians is blocked by any reason like stress or accident, the body is said to have an imbalance and will, sooner or later pain caused in the area. The acupuncture needle opens up the congested meridian in order for the energy to flow freely to relieve the pain as if Highway Patrol patrols the traffics. To make it more understandable, many scientific studies have shown that inserting needles at these points of meridians may stimulate the nerve system to release natural body chemicals that reduce pain and help recover health. Whether pain is acute or chronic and located in the shoulder, lower back, knee, elbow or anywhere else in the body, acupuncture can provide relief. While each person experiences acupuncture differently, most people feel only a minimal amount of sensation as the needles are inserted. Once the needles are in most of our patients feel a sense of deep relaxation, and sleepiness. The main objectives of acupuncture treatment are relieving pain and other symptoms, strengthening the immune system, and balancing, harmonizing and integrating the functions of the internal organs with each other, making for a unified. Acupuncture originated in China around 3,500 years ago and remains one of the oldest, most commonly used systems of healing in the world. Chinese medicine is still the primary medical system for 1/4 of the world’s population. Traditional Chinese Medicine considers Qi (pronounced “chee”) to be our vital energy or life force. Qi flows along pathways or “meridians” which run the length of our limbs and to each of our organs. They form a network that looks a lot like the subway map. Like the subway, the various pathways overlap and are all critical to the network as a whole. TCM believes that there is a deep inter-connectedness between all aspects of our being—both internally and externally. Health is a state where there is balanced and harmonious flow of Qi throughout our bodies. Conversely, imbalances can lead to many ailments. Acupuncture involves the insertion of hair thin needles at specific points in the body. These points are along the meridians mentioned previously and conduct the Qi. Each of these points act as a gate—controlling the flow of Qi on the specific meridian along with their corresponding organs. The insertion of needles allow the Qi to flow properly through the meridians. Chinese herbs are also employed to maintain health, prevent illness, and restore vitality to the body. Herbal formulas are crafted to balance and harmonize the body from within—to strengthen us when we are weak, warm us when we are cold, calm us when we’re overactive, get us moving when we are sluggish, etc. The herbal formula that you may receive, like the acupuncture, is designed specifically for you based on your individual medical history and case! Acupuncture corrects these imbalances by releasing energy blocks and re-establishing normal Qi circulation, thus stimulating the body’s natural ability to heal itself. The National Institute Of Health (NIH) published the following data after the 1997 NIH Consensus Development Conference. The statement in its entirety can be viewed online at consensus.nih.gov/1997/1997Acupuncture107pdf. 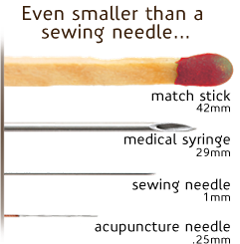 The sensation of acupuncture can feel like a tingling, pulling or a dull aching, heaviness, heat or movement in the area of needle insertion. This is one of the signs the body's energy has been stimulated. Most patients find the process very restful and relaxing; many even fall asleep during the treatment. Please just try to relax and "let go" of your ailment and imagine it leaving your body. Yes, we accept most insurance providers. Below is a comprehensive listing of insurance plans we currently accept. While we may accept many insurance providers, some of their plans may not cover all services. If you see your insurance listed below it’s best to contact your insurance to confirm which services your plan covers. In the case your plan is not listed, call us to verify that your insurance is accepted by us. Let us verify your insurance coverage for you. Please send us an email with a picture of your insurance card (both sides) and ID(s). It depends on your individual condition. At first we normally ask to see you once or twice a week. Once your health has stabilized you may need top-up treatments every few weeks. Most patients see a significant relief in about 6 to 10 treatments. Once there is significant symptomatic relief, if maintenance treatments are done every 4 to 12 weeks, the results are longer lasting. Please feel free to call us to discuss your concerns and a possible plan of treatment. The WHO, the National Center for Complementary and Alternative Medicine(NCCAM) of the National Institutes of Health(NIH), the American Medical Association(AMA) and various government reports have studied and commented on the efficacy of acupuncture.